So many people take brussel sprouts for granted and think they're disgusting. I felt the same way for years and years only because I was taught that brussel sprouts were gross. 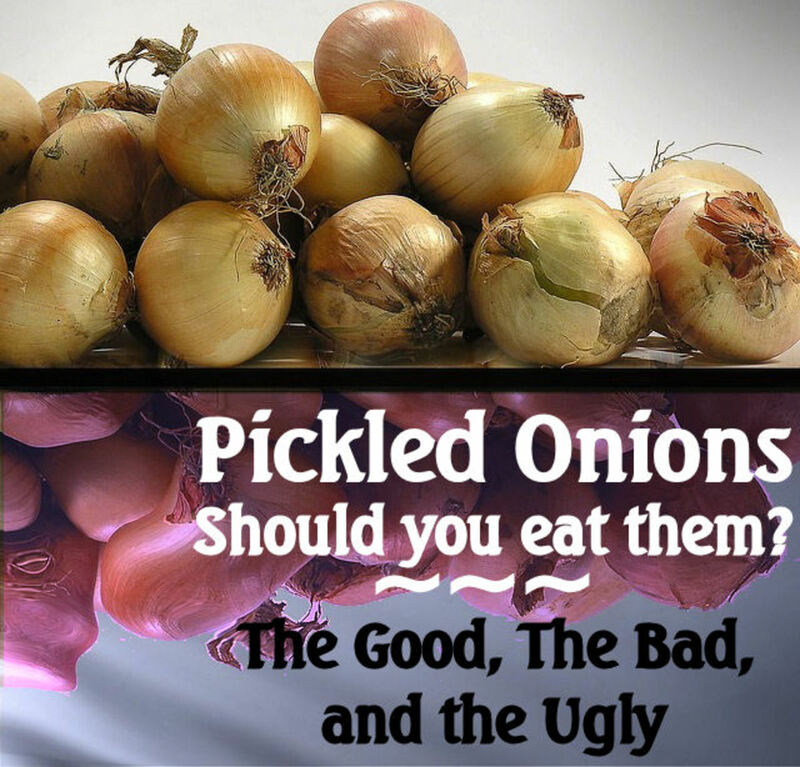 On all of the TV shows and movies, everyone hated them and didn't want to eat them. They must have been really bad. And then my husband and I moved to Arizona and started getting a fruit and vegetable basket twice a month from an organization called Bountiful Baskets. They work with local farmers to provide communities with a variety of different fruits and vegetables, that change throughout the year based on what's in season. Because of our experience with this great program, not only did we get TONS of amazing fruits and vegetables every month for very little money, but we experienced fruits and vegetables that we had never seen before. 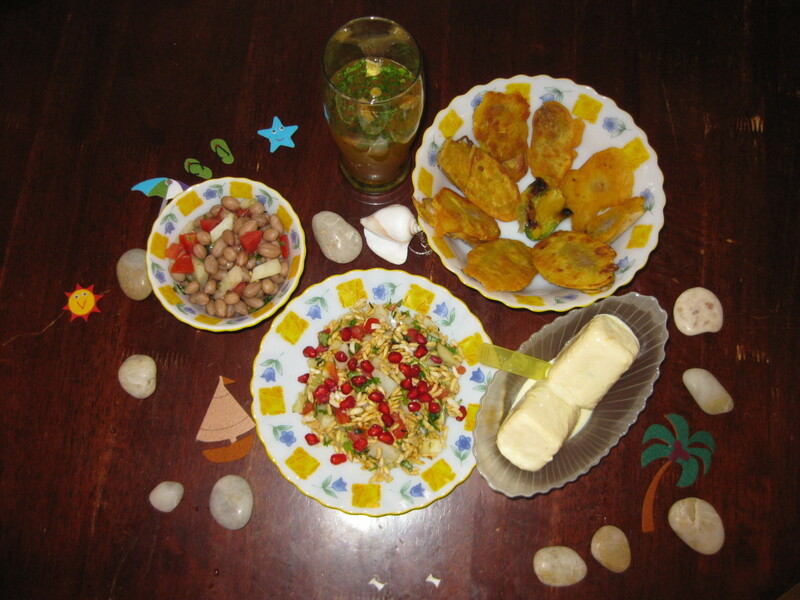 This allowed us to experiment with almost every one of our meals and get to know a few new foods. One of those veggies in the beginning was brussel sprouts. 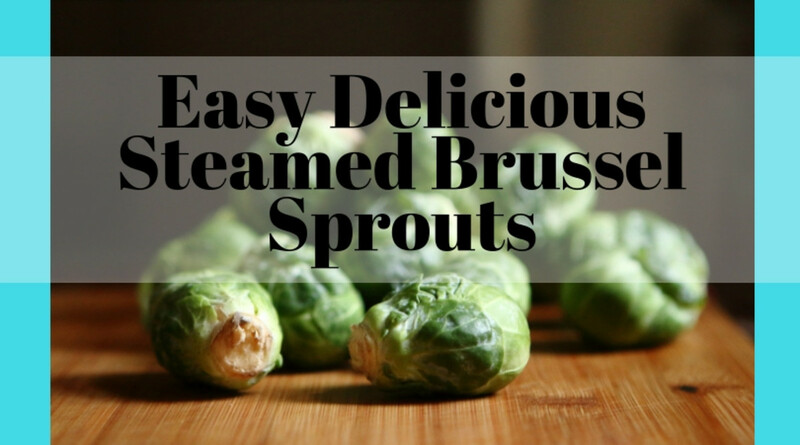 From the moment I first steamed these and dipped them in butter, I was in love! They are amazing! Now I steam them regularly in the afternoon for lunch or a snack, I use them in salads, soups, stews, and all kinds of other meals. I've even been including them in my Brown Sugar Veggie Meatloaf recipe. I can't believe how long I allowed other people's opinions to effect my feelings about this incredible vegetable. If you've tried brussel sprouts before, especially if you tried them in a restaurant, and didn't like them, let me encourage you try to them again one more time. It really depends on how they are cooked. Steaming, I think, is definitely the best way to do it! Let me show you how I do it. 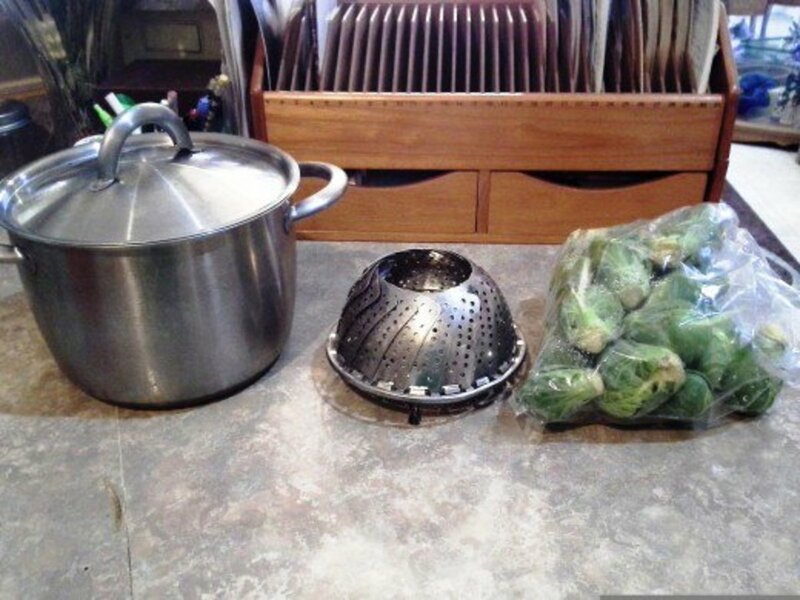 Place a steamer basket into a small soup pot. 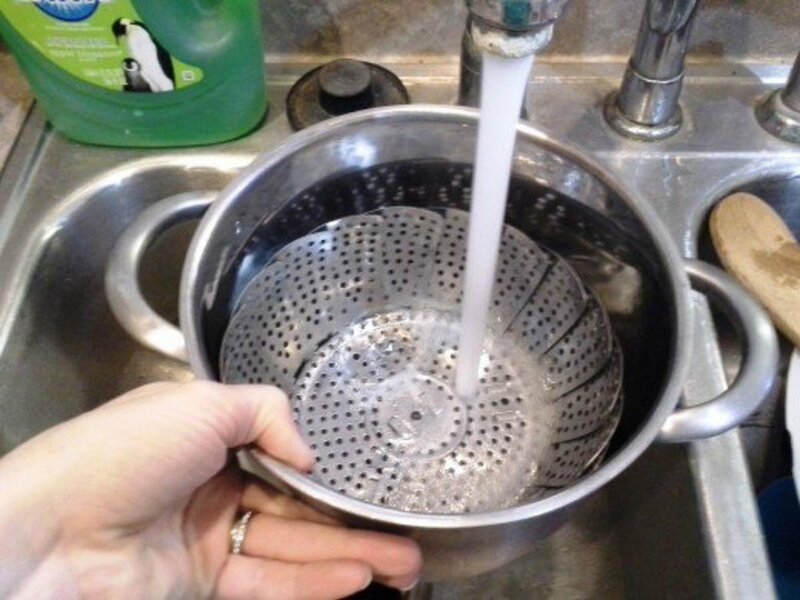 Fill your pot with water to the bottom of the steamer basket. It will probably be about 1 cup of water or so. 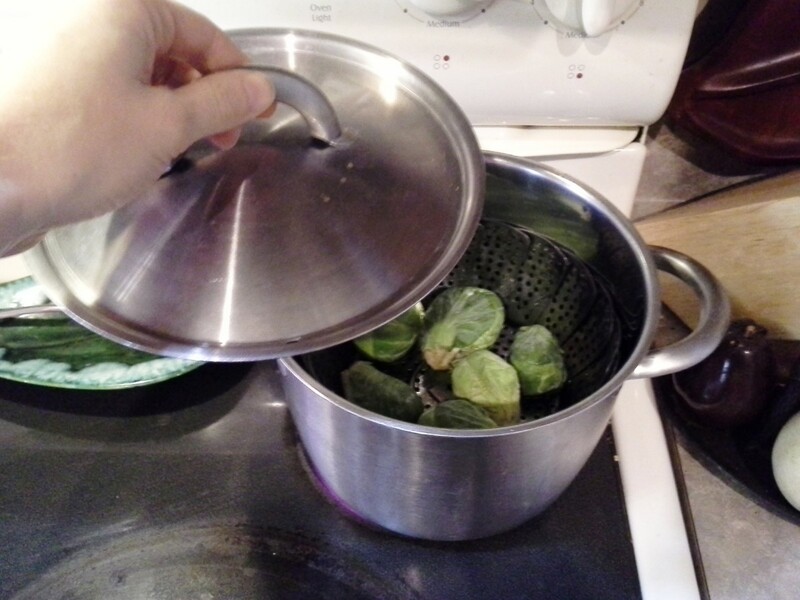 Drop as many brussel sprouts as you choose into your pot. 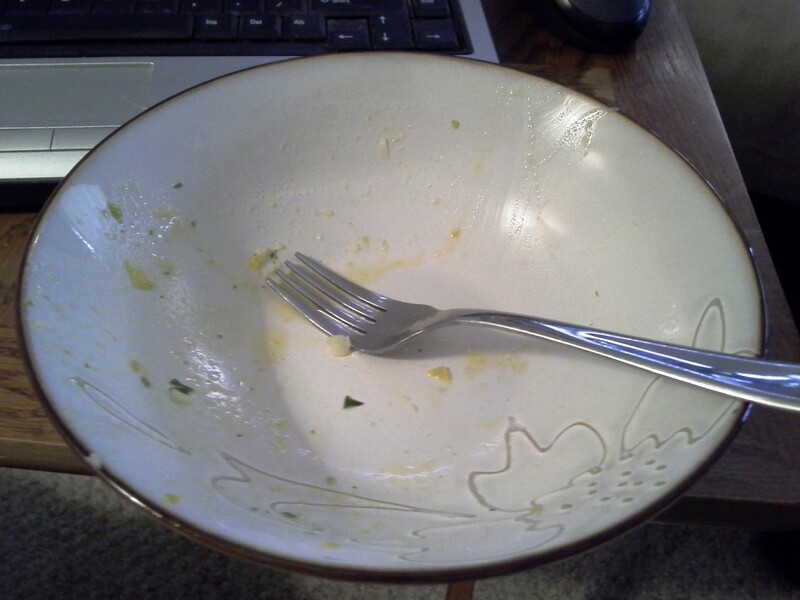 I only used 6 brussel sprouts because that's all I can finish by myself. Set your pot on the stove and cover it with a lid. 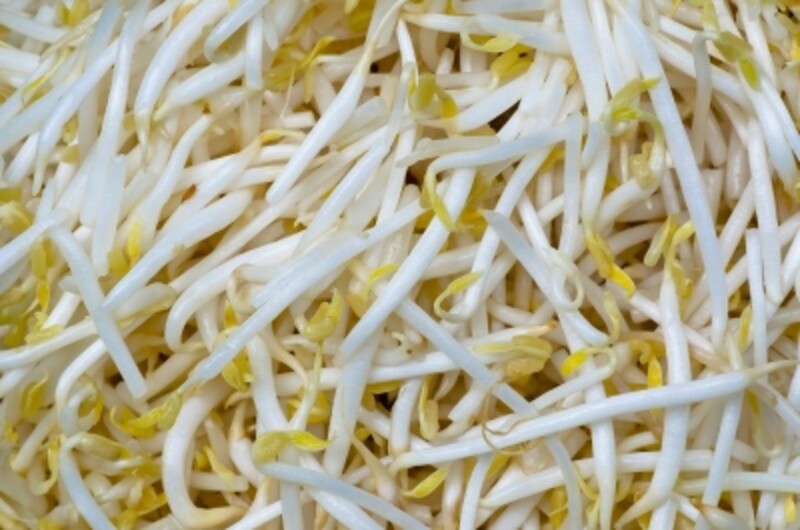 Steam your sprouts on medium high heat for about 25-30 minutes. 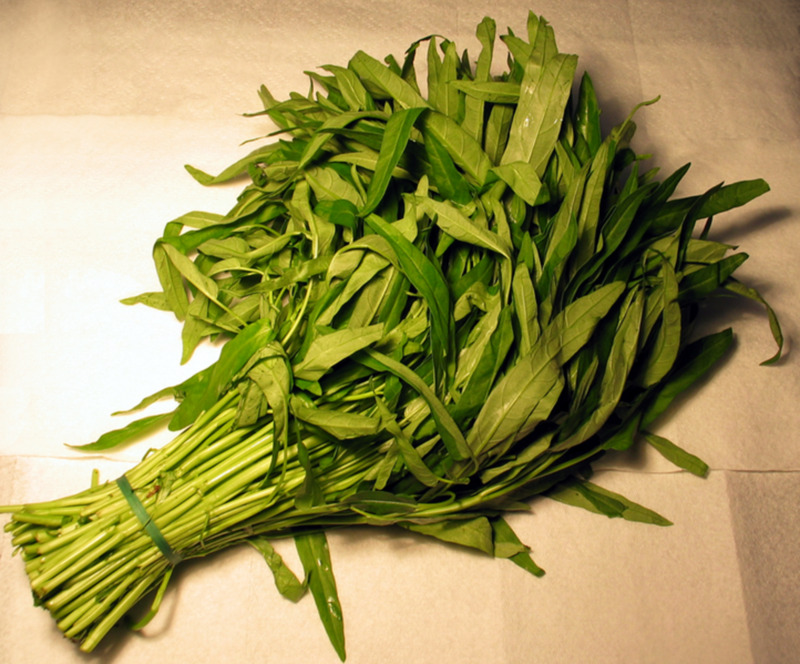 You'll know that they are ready when you are able to cut one in half easily with a fork or the back of a knife. 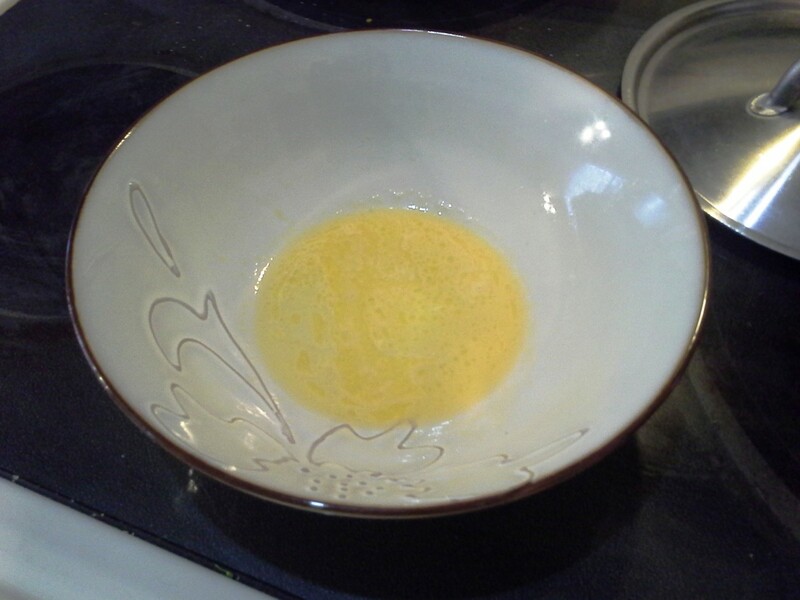 Place about a tablespoon of butter in the bowl you would like to serve it in. Heat it in the microwave for about 15 seconds to melt your butter. 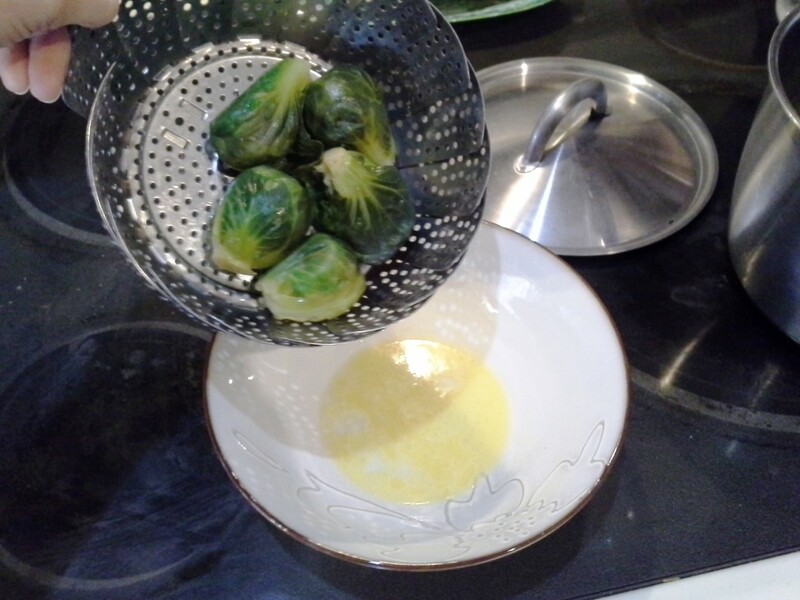 Pour your brussel sprouts into your bowl with your butter. I like to cut mine in half to make them easier to eat. If you don't have a steamer basket, you'll definitely want to grab one! 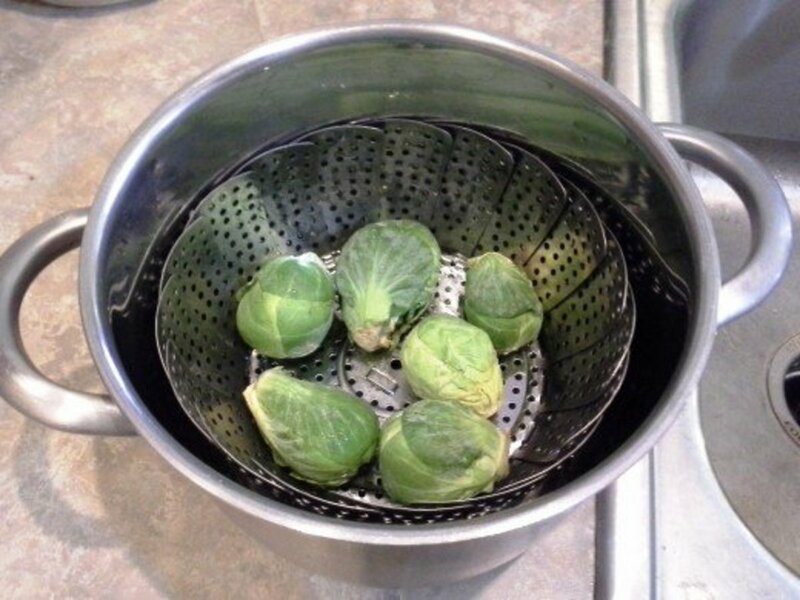 Fill your pot only to the bottom of your steamer basket. Pop those babies into your pot. Set the pot on the stove and cover it. Cook for about 20 minutes over medium high heat. When they get a bright green, they're almost done. You should be able to cut through them easily. If you desire, melt some butter in a bowl. 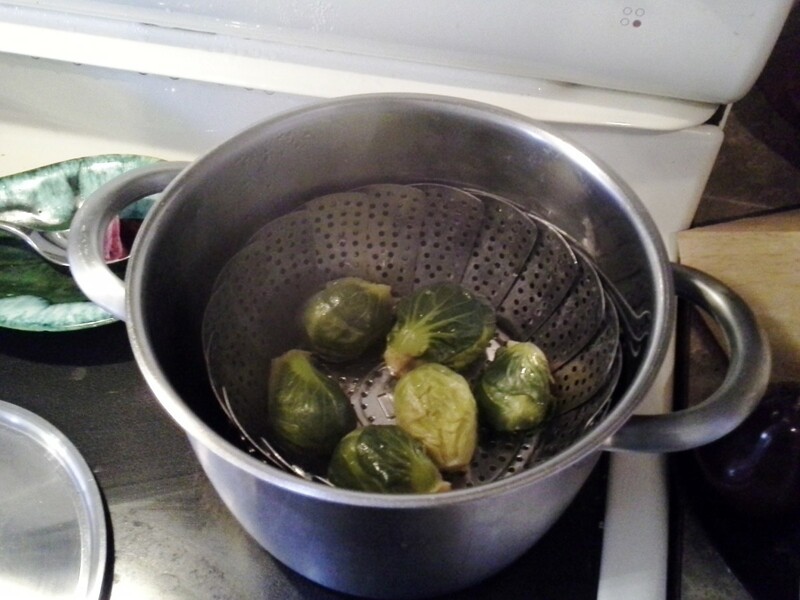 And pour the finished brussel sprouts into your bowl. 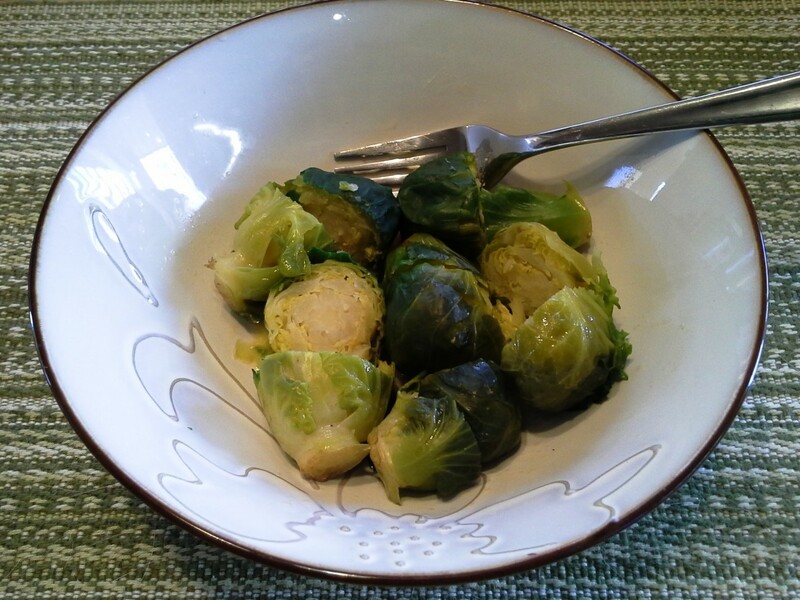 Brussels sprouts look like cute mini cabbages, but they pack a big punch nutritionally. They are super low in calories but high in fiber, vitamins and minerals. Brussels sprouts are especially rich in vitamin K, which is necessary for blood clotting and bone health. They are also a great source of vitamin C, which is great for building a strong immune system. With all of the illness going around, especially over the winter months, this is one of their strongest assets. These little babies have many health benefits, but their impressive antioxidant content stands out. Antioxidants are compounds that reduce oxidative stress in your cells and help lower your risk of chronic disease. 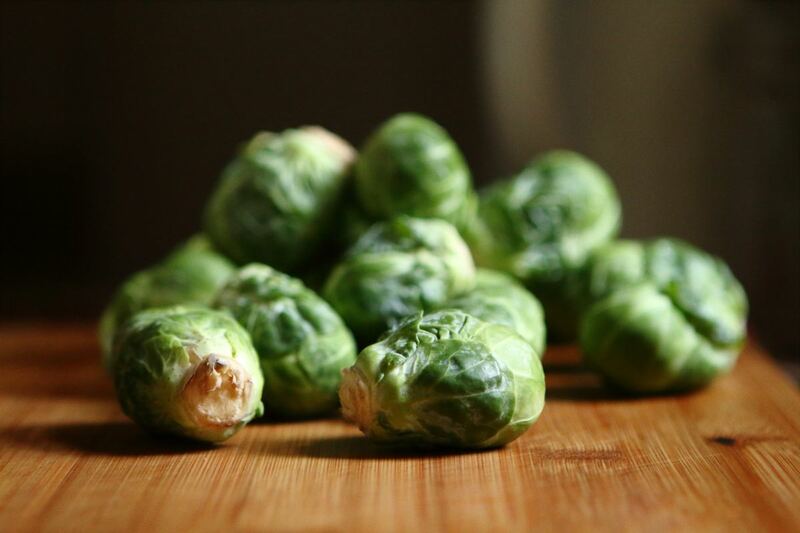 One study found that when participants ate about 2 cups of brussel sprouts daily, damage to their cells from oxidative stress decreased by 28%. Some studies even suggest that the high levels of antioxidants in brussel sprouts could help protect you against certain types of cancer. In addition to their impressive nutrient profile and long list of health benefits, brussel sprouts also help keep your blood sugar levels steady, as the addition of cruciferous vegetables, like brussel sprouts, to your diet have been linked to a decreased risk of diabetes. 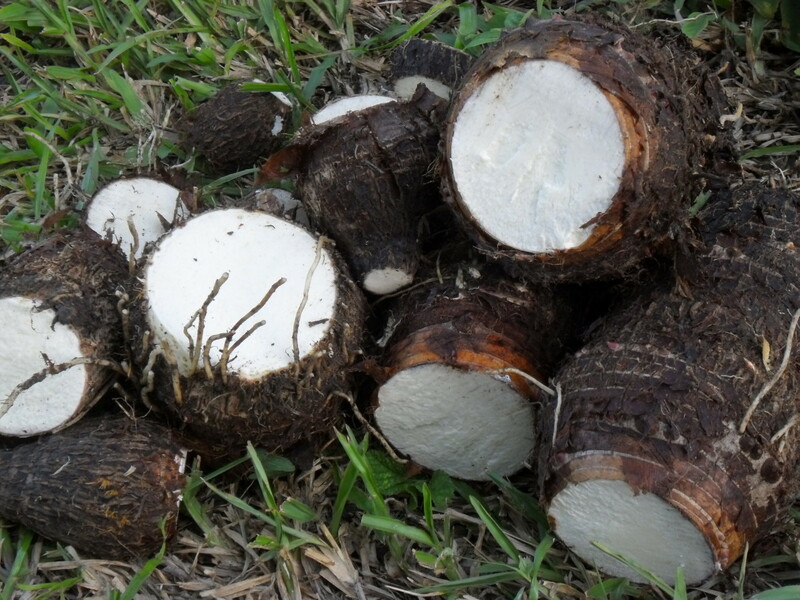 You simply can't go wrong adding this yummy vegetable to your weekly menu with all of its amazing health benefits. I've never made brussel sprouts and not loved them. 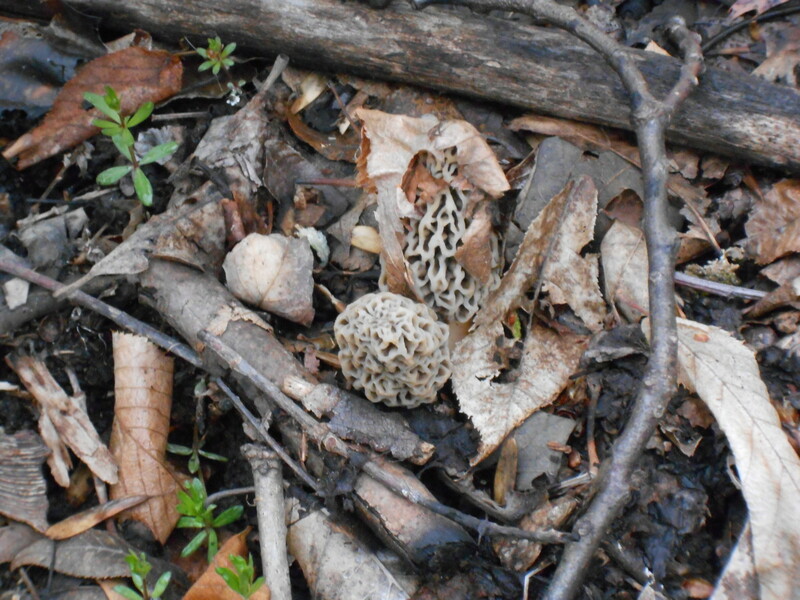 Since first discovering them a number of years ago, they've become one of my favorite vegetables next to asparagus. I simply steam them and enjoy, and my kids love them as much as I do. Some people enjoy eating them with butter, as I do, but they are just as good without it. If you're nervous about trying them for the first time, consider only buying 3-5 at the grocery store to start off with. Steam them like suggested in the above recipe and see what you think! You could even serve them with chopped, baked, or boiled potatoes, and definitely some cheese. Potatoes and cheese seem to make everything taste better. My puppies sit right next to me when I'm eating brussel sprouts and eat the leaves as I pull them off of the sprouts. They love brussel sprouts too! Give them a try and I'm sure you'll change you mind about them. Love Brussells Sprouts. Sauteed with garlic, a little onion , butter, and roasted pecans. You're absolutely right. Just like any other vegetable, if you let it steam too long, but only will it wilt and become soggy, but it will lose all nutrients as well. Absolutely! I'm so glad you enjoyed the recipe and pictures! Thank you for the wonderful comments. I go through phases with brussel sprouts but usually love them steamed with a little salted butter on top. I also like them next day popped into soups. Sounds like they would be good roasted. I think they have excellent nutritional value. Thanks for the photos and tips! I love brussel sprouts, but did not when I was younger. 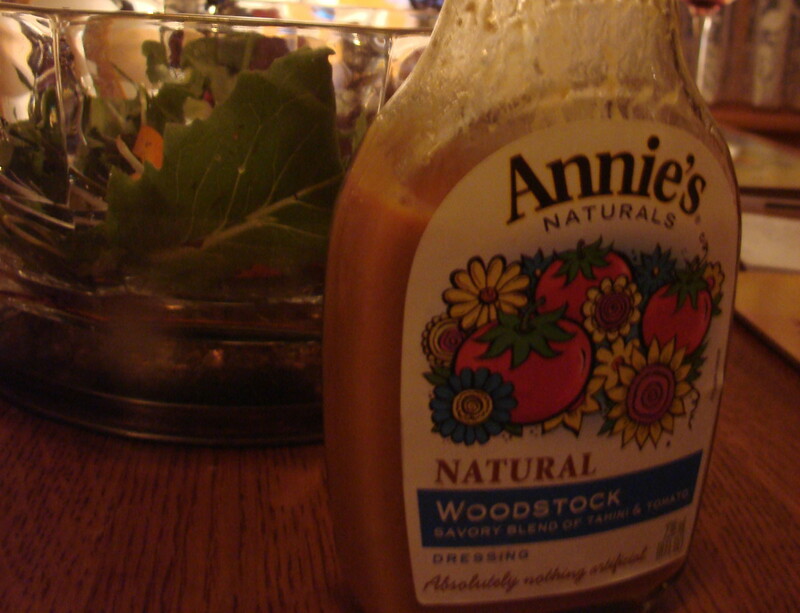 I think our taste buds mature as we age, thank goodness! Great! It's nice to hear about other fellow brussel sprout lovers out there. :) Thank you for the comment! I made some roasted brussel sprouts and potatoes the other day. I really love brussel sprouts. Yum! It's really interesting to hear all of the unique ways everyone else makes them! Thank you for the yummy suggestion! I'm glad you enjoyed the recipe and thank you so much for the great comments and suggestions! Just love this food. My big problem with them is that they go great with just about anything fattening. I also believe they lend a bit to much help in the flatulence arena. Your suggestions are great. Lime juice, salt and pepper and garlic butter.